Sachin A Billion Dreams has received excellent reviews from critics. In fact, so far, with average ratings of more than 3.5, it’s the best rated film of the year. When the protagonist has been the collective voice and conscience of India’s cricketing history, then he’s a tough subject to make a film on. Naturally, James Erskine puts Sachin on a pedestal and tells the story with an unnatural amount of reverence. Overall, it is a good watch, but at the end, it’s a documentary which is a compilation of his real-life footages. The idea of promoting it as a film is a little weird. It is like any other documentary made on several sportspersons that are available online. Or perhaps it’s Sachin’s vast popularity across the globe that the director thought of the idea of making it. It has Sachin talking about his life. How he was a naughty little boy, who grew up to be a serious, focussed cricketer, represented the country, played fabulously, and then retired gracefully. Everything is fantastic and coated with honey and dusted with sugar and fairy dust. Even the darkest period in cricket – the scandal of match fixing – is glossed over, because Sachin says, ‘What could I say? It was unbelievable and stunning.’ Considering how the ‘movie’ has gone so far, this does not surprise you. Sachin’s debut on silver screen is natural and elegant as his drives. Mayuresh Pem who plays Sachin’s brother is impressive. An interview of Vinod Kambli was missed and Sachin’s sev puri parties and his fascination for butter chicken however didn’t find place in this biopic which this writer was expecting. During the ending reels, we watched that emotional speech by Sachin the legend who dream of lifting the world cup after Kapil Dev’s triumph in 1983. Kapil’s triumph changed the outlook of cricket in India which was now the world champion which produced legends like Sachin who united India. After the speech when Sachin touched the pitch and went emotional, tears roll down by cheek. The film has been shot quite well and the background music by A.R. Rahman, the ‘Mozart of Madras’, is one of the highlights of the film as it elevates the narrative to another level altogether. Every time the ‘Sachin… Sachin’ chant reverberates through the cinema-hall, you feel goosebumps on your skin-such is the impact of the docu-drama. James Erskine deserves kudos for his taut direction and for making the film engaging enough to arrest the attention of every viewer in the cinema-hall. What I also liked about the film is that it is not just about Sachin, but about Indian cricket as a whole, with emphasis on the other members of the team and on the people behind Sachin, who made him what he is today. The film ends with Sachin’s heart wrenching farewell speech where each and everyone of us didn’t want him to go. It’s a nostalgia trip of the most celebrated sportsman to have graced our planet and leaves us with the chant of “Sachinnnn, Sachinn!” reverberating through our ears and hearts. All that we desire at the end of the film, is to hear the commentator on our screens state, “And the incoming batsman is Sachin Tendulkar”, and then watch him take strike for real just one more time. For a movie made as a fulsome tribute, the challenge is always going to be to keep someone who is not bananas about the game (which includes your faithful critic) to stay with the film: I did, and enjoyed almost every minute of it, cheering at the World Cup win, blinking back tears at Sachin’s farewell speech, even while asking for more. Sachin A Billion Dreams does really well in bringing out the relationship between Sachin and his father and how he couldn’t deal with the loss for a long time and how he wanted to make him proud even after his death during the 1999 World Cup. You will find players like Harbhajan Singh, Ravi Shashtri and M S Dhoni and Virat Kohli talking about Sachin Tendulkar, but it’s the real-life videos that add charm to this biopic. The one shot inside the Indian team’s dressing room after Sachin’s 35th century is remarkable and displays the delicate connection among players. Sachin: A Billion Dreams, is already a superhero, and everybody knows his story. 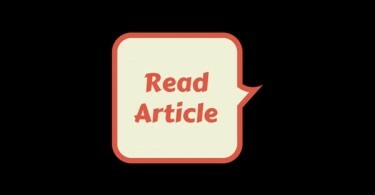 There is nothing that is unheard of, such as in the case of, say, Indian boxer Mary Kom whose biopic released in 2014. There is no untold story here, unlike the case of Mahendra Singh Dhoni, whose biopic came last year. Generations of Indians have been witness to the Sachin story and his tales have been repeated again and again for years, in articles, sports programmes, among you, your father, your uncle and the eldest in the family discussing his records, his centuries, his hits and misses and infinite number of times. In such a case, all that Sachin: A Billion Dreams could do, and did do, is that it repeated the story just one more time. And that worked. Erskine paints a palpable picture of Tendulkar, gently revealing his psyche through the lulls in his life, expressing his excitement when the time was good, and how the cricketer sought solace in music, vada pav and the almighty. His teammates play strong supporting roles as the film climaxes with the momentous 2011 World Cup win, and his stirring retirement speech. What you’ll watch in theatres is not just another movie. It’s India’s biggest success story, that of a curly mopped kid conquering the nation’s heart. This retelling of a life less ordinary is measured — much like how Tendulkar responds to most deliveries. So controversies, such as the match-fixing scandal, have been portrayed without digging deeper and sticking to what has already been reported. And while the various match footage seem like watching the highlights — every delivery culminates into something remarkable — it is one man’s ability to unite a nation of a billion and more that makes this a documentary worth watching. A simple man whose phenomenal achievements do not influence his behaviour on the field or in the family fold, Tendulkar comes across in the film as guileless and driven. We get to see Sachin Tendulkar talk directly into the camera. Again it’s not about how he throws words or pauses between them. It’s about telling the world that his heart beats for cricket. Everything else, including family, must wait. 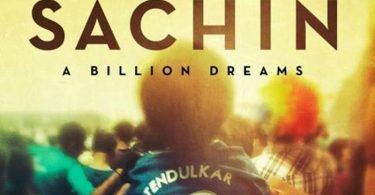 For telling it like it is, for giving the national hero a befitting cinematic homage and for opening up the vistas of dreams that every working class youngster lives and dies with, Sachin: A Billion Dreams deserves a standing ovation. For giving us a documentary that is neither dry nor pedantic nor over-eulogistic, the entire team of this film deserves a “We Love Sachin” sweat-shirt each…. Signed by the man. For a cricket aficionado, the film checks all the boxes, the memorable debut, failure as a captain, personal milestones, injuries, the disappointment of 1996, 2003 and 2007 World Cups and the subsequent triumph in the 2011 edition. It also touches upon the match-fixing saga and the controversial reign of Greg Chappell as the coach of Team India. The dramatized version of Sachin’s childhood track could have been better as well as engaging. People who are not associated with cricket might not experience the same magic. The documentary styling might not highly appeal to the masses. Also, for the young kids who have missed out on Sachin phenomena, might find hard to connect with it. Few more important tracks and controversial topics should have been handled in the film. ‘Sachin: A Billion Dreams’ is like a lifetime innings which should not be missed by everyone who knows and love Sachin Tendulkar. If you are a cricketing fan, if you are a Sachin fan, then yes go watch it. I can honestly say you will learn about Sachin the man and Sachin the cricketer. Bear in mind, this is not a typical Bollywood film. It is about the dream of a man that were shared a billion times over with every Indian cricket fan as well as every Sachin fan. It is euphoric, yes, it is bound to be. It is about cricket. But still it manages to stay low-keyed. And in this restrained tonality is embedded a good deal of exposition of his journey, all the crests, and troughs. The narrative strategy is simple–to focus on key people close to him, while following the timeline of his cricket career. Life and career are thus more-or-less equally addressed, and instances from life and subsequent reflections on them, help us understand his cricket better. So many average ratings and it ended up highest rating????? Plus indicine if u have not giving it a rating ur ratings should not be on this page???? 3 stars by Shubhra Gupta? It must be masterpiece. Sachin used to be a childhood hero of mine… I remember when I use to woke up early 4am matches …just to see Sachin innings… there also came a time in Indian cricket that if Sachin gets out early the entire team will fall below 100 runs…. BUT THAT love has changed drastically in fact gone beyond to hating him after realizing how he aim to get individual records…n just to get 100th century he wasted life’s of many struggling cricketers. Finally he scored against Bangladesh and again India lost that match …what a shame.. And also after getting to know him personally from my friends how he always ask for favours from government in everything even after earning a lot of money… And also the recent case of false news where Sachin gifted cars to the indian female wrestlers ONLY TO REALIZE THAT IT WAS Someone else money only he presented it to them…etc etc… I lost all respect. I will never watch this movie. India has had many greatest cricketers …except that they don’t get a chance and backup how Sachin got even after many failures. KOHLI is the only cricketer I feel who don’t look for personal records currently along with Hashim amla and Devillers…they are the champions to me. Are they trying to say that it’s better than Bahubaali the conclusion? Finally its our legendary master blaster who did satisfy subhra gupta..